If you ever said these things to yourself, this post is for you. MoneyPantry is a site that was created to help you, our readers, save money and make money online and offline. By this point, we’ve shared many dozens of ways you can save and earn money – from the usual summer jobs for kids to ride sharing, freelancing, blogging, and other ways to make money at home. Today, we’re going to put all of that together and create a sort of one-stop of all the ways you can earn extra cash in your free time. So, bookmark it and settle in because we’re going to cover everything you need to know about making extra money and the biggest list of legitimate companies, websites and apps that actually pay you or doing a variety of things. Since there are so many options available here, I’ll be breaking them up into sections. Please use this table to quickly jump to specific sections. If you are a bookworm, there is a good chance your bookshelves are overflowing with books. Books that you have read before but know you won’t read or need them again. Selling used books is a great way to clean up your bookshelves and make money at the same time. These sites are some of the best places you can sell books for cash. BookScouter (review here) is one of the my favorite site to use when it comes to selling old books because it makes it very easy to get quotes from dozens of book buy-back sites instantly. All you have to do is enter the ISBN of your book and hit “enter”. Within seconds you’ll have quotes from over 40 book buy-back sites. Pick the highest paying offer and sell your book to them. It is really as easy as that! This is a website that will buy your books as well as paying for shipping. They’re pretty straightforward: just enter your ISBN and away you go! Pays out via check or PayPal. eCampus is a bit unique here due in part to its university-focused business model. While there are other places to sell your textbook, this one is unique because it accepts ‘marked’ books as well. So if you have textbooks full of highlighted sections, you’re in luck. In stark contrast to eCampus, Powell’s Books is a service that is very picky about the condition of the books that they buy. First, you put your ISBN into the text field and check whether or not they want the book. If they do, then the book will need to be in near-perfect condition. No word on whether or not you are eligible for free shipping, though the general consensus is that you’ll make the most money selling books in good condition this way. Not to be confused with “Sell Back Your Book” mentioned above, this is a site with a similar name and a similar function. Whereas some sites ask you to wait for a buyer to agree to purchase your book, this one is purchased direct-from-seller and will allow you to send you books off as soon as you can print your prepaid shipping label. Payment is sent straight to your bank account. Like many of the other sites on the list, they will allow you to search by ISBN. There isn’t too much t say about KnetBooks that can’t be said about the other sites, but they do provide a perfectly solid service. If you’re in need of textbook rentals, they offer those as well. Bookbyte is another of the college-centric sites on the list and offers sales and rental services like KnetBooks. Somewhat similar to Powell’s Books in that they have strict criteria for the condition that they will accept books in. However, if you do turn in a book in very good condition, then you can expect to fetch a pretty decent price for it. I’ve got a few good things to say about CKY Books. For one, they buy directly from you, which means no hassle of waiting for a reseller. They will handle the shipping costs themselves, which is always a good thing, and most importantly, they accept just about any type of book. So whether it’s a religious book, a political book, fiction, nonfiction, they’ll probably accept it. You can choose to get paid out by check or by PayPal, depending on your preference. A site that does right what it says on the tin. Textbook Buyer is a service that wants your old textbooks, and they’ve established a pretty fair reputation after a decade of business. While you’ll see a lot of talk of prompt payout, good prices, and prepaid shipping on this list, it at least means something that these guys have managed to keep their business going for over 10 years with their methods. A good choice for those of us who particularly like businesses with a good reputation. Another site that does what it says in the name! Paperback Swap, true to form, allows you to swap paperbacks with other users. Now I’m sure you’ll have a couple of questions when you hear that. For one, yes, it is technically a free service– though you’ll need to purchase a membership if you want to regularly swap out books. If you’re wondering how to handle shipping, it’s a “sender pays” system. So when you mail out a book, you pay, but when someone mails one to you, they pay. There is a ‘swap-out credit’ system, which basically means that once you ship a book to someone, you receive a credit that allows you to request a book from someone else. Believe it or not, greeting cards are a massive business, so much so that I had to put them in their own section. It is estimated that the industry runs upwards of 7 billion, per year. They’re such a common thing that you probably don’t even think twice about seeing them in daily life. It’s a birthday or some other occasion and you give a card along with your present. That’s just how it is, right? Well, now you can also make money by writing greeting cards. These greeting card companies will pay you to write and draw greeting cards. This is a good option for those of you who are only looking to dabble. Moonlighting doesn’t always accept submissions, but they’ll occasionally run contests where you can submit. For a few sentences, you can make a cool $25. Once known as just “ComStock,” this is a greeting card company that’s specifically focused on adult-themed cards. They actively accept submissions and they have a tendency to prefer raunchy cards. In return, they’ll pay you $50 for accepted submissions. The lighter side of the adult-themed cards, Smart Alex is more about risque and topical cards. The ‘raunchy’ type of humor you’d submit to ComStock won’t fly here, instead keep it relatively tasteful. No word on what their payment is like. Taking a turn away from the adult sites, this is a company that prefers family-friendly messages. They like artful, personal messages, so you should keep your silly jokes for a different company. And be careful, this company is not interested in rhyming poetry submissions! This is a bit of wildcard entry. While I’ve read online that they accept submissions, the website says very explicitly *not* to send them submissions. You can always give it a shot, but do so at your own risk! Second only to Hallmark in the world of greeting cards, American Greetings does actually accept submissions from freelance card creators. They aren’t just looking for any, though. You’ll need to contact them officially and set up a meeting to discuss the submissions. These guys are always accepting submissions, though there is a warning that they won’t return your submission regardless of whether or not it is accepted. However, if you’re really passionate about greeting cards and considering making a career out of it, they are accepting actual long-term employment applications. The big daddy of greeting cards companies. This company is making a huge market share of the greeting card industry, enough to afford their own TV channel and everything! So you can imagine that there are ways to make money through them. Unlike many of the others on this list, these guys only accept in-house writers. So writing for Hallmark is a full-time job, and it may or may not require you to relocate. It’s a great opportunity for someone who wants to get some career experience as a writer, but not quite so great for those wanting some freelance action. Not to be confused with internet cartoonist, The Oatmeal, Oatmeal Studios is a fun and down-to-earth company that deals with a variety of cards. Unlike some of the other tentative entries on this list, Oatmeal Studios is absolutely accepting submissions right now. Despite the somewhat cynical company name, these guys are straightforward business-people who are willing to accept your submissions. Submissions for this company are not just limited to greeting cards, though, because they are also interested in other types of merchandise, like stickers. If you manage to get your submission accepted, it’ll be an easy $50. While this was once a standalone operation, Shoebox Cards now operates as a subsidiary of Hallmark. That doesn’t mean they won’t accept submissions, though– you can go ahead and email them from their website if you are curious about it. When I looked into it, the only hard guideline I could find was not to send too many submissions at once. Avanti Press is among the larger distributors in the industry, and they will occasionally accept submissions. At the time of writing, it says that they’ve filled all their positions. But since they’re a noteworthy distributor, it wouldn’t hurt to send them a work sample, in case they start looking for submissions/writers again. This company is actively seeking out salespeople to expand their range of distribution, but they are also accepting submissions for artists and editorial positions. There is a contact form of their website that will make it easy to contact them. I know, this is weird, but it’s real. These companies use the information form your junk mail to gather data on a wide variety of mail and advertising-related topics. You get paid each time you report something. Sometimes you’ll get various extra benefits, such as the ability to keep the items you’ve been shipped. This company is sometimes referred to by either name. Like the previous one, this decoy work involves both receiving and occasionally sending mail. You get paid for reporting about the letters with various information, and you usually receive a given amount of letters during a certain period of time. Then you are rewarded in point which can be redeemed via Amazon, PayPal, Globoforce or Moneybookers. SBKC gives you points and rewards you for junk mail and emails. You’ll be asked to correspond with a variety of industries, usually financially-related ones such as insurance, banking, and credit. It’s easy to do and can add up to worthwhile return in just a few weeks. You can sign up with USM to become a “US Monitor,” who receives test mail to their address. Mail usually arrives daily, and then you log into the website and report what mail you received. Each piece of mail is worth 25¢, so if you receive 4 pieces of mail, you just need to enter the information into the website for an easy dollar. Do this every day, and you’ll start seeing it add up! Who doesn’t like music, right? Well, you are about to like it even more! The websites below will pay you to listen to and rate music. Probably the biggest music paid-review site, STP is here to help independent artists get the feedback they crave. This helps them in a lot of ways, and any musicians out there know how valuable honest feedback can be! STP works on a ranking system and will pay you more for better reviews, as well as paying you more the more reviews you do. Payment ranges from 2¢ to 20¢ for just a few minutes work. They pay via PayPal. You can cash out at $10, which shouldn’t take too long to get. Instead of paying out direct cash, Hit Predictor pays you in points. These points can be spent on a variety of things, such as CDs, DVDs, or raffle entries. MusicXRay is a site that also has a ranking system, as in, you get paid more the more you work. At first, you’ll only be making 5¢ per review, but this can increase all the way up to $1 a review, making it the highest paying of the three sites! They do have a higher payout minimum, $20, but you can request it as soon as you’ve made your money. It goes without saying that you’ll want to put in a fair amount of time here. This is known as “Distributed Computing”. Well, don’t worry, I had the same reaction the first time I heard of it! Basically, it means that you run a company’s software on your computer that creates a virtual mini-computer within your computer (one that has no access to your files or information) which you then rent out. This company specializes in stock trading and hard number crunching. As such, they’d be glad to make use of your CPU when you’re not using it. If you happen to be big into stocks and have some insider knowledge on the subject, they also offer high-paying returns for writing relevant, expert articles for them. Similar in function to Slicify, this site offers a program for you to download and run when you aren’t using your computer. It’s definitely in the “passive” range of income, with a maximum monthly earning of $45.00, but if you make the most your computer’s downtime, that’s still extra money! Dating all the way back to ancient times, knowledge has been worth money. Now you can actually turn your knowledge into cash online. It doesn’t matter what you’re an expert in, as long as you are an expert and can teach other people, you can get paid for your expertise. The best part about tutoring is that you can do it from home. You can set your own hours and rates. If you want to be your own boss, here’s a collection of sites that will help you make money tutoring. Happy Tutors is not an online tutoring hub like Google Helpouts was, but rather, a directory for tutors. That means that it is free for students to come and look for tutors, and they’ll search by country and city. It helps people find tutors. On the other hand, tutors will be asked to pay a small fee to be listed ($50/year) and can additionally pay a fee for promotion ($80/year.) While that’s a bit of a turn-off, $130 dollars a year to have your name listed in an online directory isn’t so bad. If you’re looking to really get into tutoring, it’s a worthwhile investment. In contrast to the relatively casual atmosphere of a site like Happy Tutors, Tutorvista takes its application process very seriously. You’ll need a cover letter and a resume, just like applying to any real job. Once you apply, you’ll be considered against all other similarly qualified applicants. If you’re accepted, they’ll put you into a semi-permanent position as one of their distinguished tutors. It’s harder to get in, but once you are, there’s less competition. This one is a UK-only site. It works as you’d expect, tutors register, students search, and students pay. It’s easy-peasy. Students may contact you and arrange a schedule. Interestingly, they have a pay-by-the-minute system in place, so you’ll get paid for exactly as much as you put in. WizIQ is pretty serious business in the online tutoring world, and for good reason. They have a strong virtual classroom system in place that will allow you to teach students on a video or audio basis, an online whiteboard you can use, desktop sharing, a file space for uploading and downloading, and a lot of student slots for you to fill. They even have Android and iOS applications to help enhance your range, so if you’re interested in tutoring, definitely look into WizIQ. The aptly named Tutor.com is another site that requires an application process, so you’ll need to wait a while after applying for them to get back to you. When you apply, it will help your chances if you’re well-qualified in more than one subject (sadly, specialists aren’t that hard to come by.) This site isn’t doing the volume of business that WizIQ is, but they’re still pulling a respectable amount. You should definitely send an application their way while you’re looking into tutoring. If your dream job is to become a tutor, you will have your dream fulfilled by becoming a legit tutor for thousands of international students. Payment is through PayPal. It does not take a cent to register with this website, but they will want to assess your skills. If you are still pretty much in touch with the academic syllabus, this company would hire you to be their online tutors. Teaching format is one-on-one, covering a wide array of school subjects. This is a site that offers peer-to-peer tutoring, so it’s just you and your student. They message you to arrange a lesson and you accept, reject, or respond to reschedule. I looked really hard to see if this was a video or chat-based service, but I couldn’t find any information other than “virtual classroom.” Still, it allows you to rate your teacher and earn more students based on rating, so it seems like a great platform. If full-on tutoring isn’t your style, perhaps you’d like to make money sharing smaller bits of information. There are absolutely sites that will pay you for your knowledge in bite-sized chunks, and I’m going to tell you about them. While some people might think that querying Yahoo Answers or Reddit is as good as any place for getting advice, other people want feedback from a professional, and they’re willing to pay for it. If you’re ready to make that money, then let’s dive in. You can get paid in two ways, upfront and based on the revenue share model. For those who are looking for expert feedback on their problems, there is JustAnswer. The way it works is that someone asks a question with a monetary value attached, and once they’ve decided that your answer is acceptable, they’ll pay you the amount. You make between $5 and $25 for a response and can cash out to PayPal at $20. You become a sort of micro consultant and are paid for basically answering questions. This site is just like you’d think from the name. People come and ask questions about their small business, you answer, and you get paid. You can choose to get paid to PayPal or by check. This one requires some specific knowledge, but you can bet that business people are going to have questions! A psychic-based service, of all things, Keen allows you to make money in return for channeling your psychic abilities. Psychics are allowed to set their rates and you can choose the one you want, as a customer, so it helps to keep a good rapport with those who you channel for. Another great opportunity to make money doing something fun is mystery shopping. This is different than the product testing because mystery shopping is much more about testing a company than a product. Companies are willing to pay you for mystery shopping because it allows them a form of insight that they can’t get from their normal employees. A mystery shopper is someone who poses as a normal customer, but instead of leaving the business and keeping their impressions to themselves, they’re reporting back to corporate. As companies come to understand the value of market research, the mystery shopping world has started to grow. Now, there are a variety of companies which are willing to pay you to mystery shop so that they can help other companies (or themselves) learn how customers think and what kinds of impressions their business gives. You might think that there are some scammers out there just pretending to be mystery shopper services, and you’d be right. So that’s why I’ve gone through and compiled this list of trustworthy sites that will help you be a mystery shopper. There are a lot of different types and some of them have different focuses, so do some investigating before you sign up. Some of them might deal in businesses that you have very little interest in. 63. Barry Leads & Associates Inc.
81. Creative Image Consultants (CIA), Inc.
89. Douglas Stafford North America, Inc.
98. Hilli Dunlap Enterprises, Inc.
117. MarketWise Consulting Group, Inc.
121. Michelson & Associates, Inc.
142. Ritter & Associates, Inc.
144. Second To None, Inc.
146. Sensors Quality Management Inc.
150. Service Excellence Group, Inc.
153. Service Performance Group Inc. While it is all well and good to see lawyers portrayed as seasoned vets on TV, there is actually a tremendous amount of work that goes into being prepared for legal work. And lucky for us, there is a way to make money off of that. Lawyers pay online mock trial services to have real people sit in on a jury and simulate a legal process. This is a learning experience for them, so it’s well worth the money, and we get to take part in something interesting! Here is a list of a few sites that will allow you to get paid for this type of work. This site comes with a few restrictions: you must be over 18 and you must be a US citizen (residency isn’t good enough, I’m afraid.) You’ll be spending an average of 40 minutes reviewing each case, fluctuating from 20-60 minutes and not usually more or less than that. In return, you’ll pick up $20-60 dollars (which is great pay!) They’ll mail you the money in a check. These guys are a bit more secretive about their processes, but I’ve read that you make about $30 a case, with the amount increasing with the difficulty of the case. Payments are made to PayPal. The most well-established service in this field, eJury is perhaps one of the first mock trial sites around. You’ll need to pass through a series of qualifications such as the regular US citizenship and being 18 years of age, as well as the additional requirements that you must have no mental disorders and never have been convicted of a felony. If you can pass through that, you’ll get $5-10 dollars for each case you review and paid through PayPal. Even though I’ve written about it a few times now, it always seems crazy. You really can get paid for playing games in today’s world. Here are a few legit sites that reward you for playing games. While this site used to feature a ton of games, they’ve since honed themselves down to one: the “Wheel of Cash.” It has a mounting jackpot system like Bingozone but functions very very similarly to LalaLoot. They have a different homepage for US and UK residents that will determine whether you’re winning dollars or pounds. Of course, there is always Swagbucks. It can be hard to discuss how to make money with the internet without bringing up Swagbucks. It’s been around for a long time and offers many ways to make money one of which is playing games. For every game you play, you earn points which you can then redeem for cash, gift card and other prizes. This is a slots-based site that will allow you to earn tokens in return for viewing ads. After you’ve got the tokens, you can use them to enter into a slot machine that will have the chance to win real money! In addition to their normal chances of winning, there is a daily $10,000 prize draw that you will be entered to win whenever you play. If you’re the type of person who loves games of chance, this site will fulfill you and take no money out of pocket. Unlike the previous entry, this one provides you with tons and tons of games to play. Each one enters you into a small, game-specific drawing. It has lots of classics like Solitaire and Bingo, and you get “paid” in tokens that allow you to enter into the aforementioned drawings. Going back to the realm of single-game sites, this one (as you’ve likely guessed) is just for Bingo. While the jackpot always resets to $1, it will keep adding up until a winner has been found. They hold a game every couple of minutes, all year, every day. You might want to pop over there now and see what the jackpot is at! This is a neat little browser-based multi-player game that lets you build up in-game currency and exchange it for real life money. (300k in-game gets you $20 in real life.) It’s kind of like those old Zynga Facebook games: you collect resources, go on adventures, and attack other people to take their stuff. It’s not going to win your “game of the year” award, but it is one of the more entertaining ways to make some money. In case you’re wondering, GSN is the Game Show Network, like the one on TV. This is a website run by them that dispenses cash prizes in return for playing popular games like Wheel of Fortune, Bejeweled, card games, and more. I wasn’t able to find out exactly how the money works (even after looking through the entire user agreement!) but suffice it to say that with a big name like this, there is nothing fishy going on. Plus, they have one of the best selections around. Unlike some of the sites on this list, Pogo is very upfront with its methods of monetization. You can enter for jackpots, or stick around and try to win the small daily drawing. There are a lot of games on the site to play if you’re looking to have fun, and the rewards can go up really high. For fun-seekers and money-lovers alike, this is one of the best options around. SecondLife is a crazy phenomenon that I could write about for hours and hours. 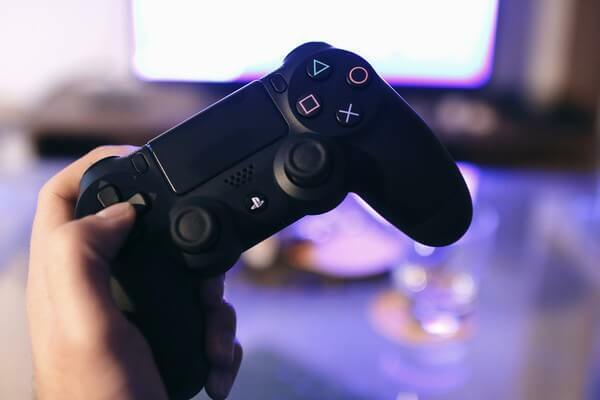 It comes surprisingly close to that name; the game supports a real-world cash economy, people spend lots of real money on it to buy virtual properties and accessories. You can see a longer digest of how to make money with SecondLife in my “60 Ways to Make Money without a Job” article. This is the one exception I was talking about above because you will most likely need to put money into this to make money from it. But hey, there’s a whole virtual real estate market waiting to be gamed! You can also make content and sell it, stuff like clothes and events, just like in real life. You can even get paid to sit outside somebody’s shop, like a (virtual) human billboard. There is only one big warning that comes with making money through SecondLife, and that is “don’t get too sucked in!” There are people out there who have spent their life’s savings playing this game, don’t let yourself be one of them. You probably watch a lot more videos on the internet than you did this time ten years ago. Well, so does everybody. It’s quickly on track to replacing TV as the most viewed form of media in the world. And what’s more, our cell phones allow us to constantly have high-quality cameras in our pockets. So, it’s inevitable that we would spend some time talking about making money with your videos. It’s no secret that top YouTubers (PewDiePie in particular) are making millions per year from their videos, and the fantasy of making your living online is more real than ever. Believe it or not, you don’t need to be a YouTube star to make money off of your videos. Here are sites that will pay you for your videos. Break is a site that accepts videos, pictures, and flash games as submissions (and is willing to pay you for it!) There’s a lot going on under the hood with Break. At first glance, it seems like a normal “viral video” site, but if you look around you’ll realize that Break is a multi-fronted business that also runs a network of successful YouTube channels. What Break wants is original, “viral” quality content that you supply. In return, they’d like to buy the rights to it so they can put it through their various distribution channels. You can make hundreds of dollars per video that will be paid out to your PayPal, so this is a great option for making money online with videos. It’s inevitable to talk about making money online without also talking about YouTube. After all, they practically invented the model, and they’re currently the 3rd ranked site globally on Alexa. That’s nothing to scoff at, for sure, since that indicates upwards of billions of visitors per day. Recommending to make money on YouTube comes with a few exceptions, of course– for one, the average person should be expecting to gain a lot of their viewers with YouTube, but not necessarily to make money that way. Sadly, YouTube doesn’t think that views = payment, which is why so many content creators have switched over to models like Patreon. But the sheer size of YouTube makes it so that the majority of your viewers will be gained this way, regardless. If you manage to build something of a following on YouTube, you can try to redirect your followers to another place. Some content creators create their own websites for hosting the videos (so that they can keep 100% of the ad money) and others will redirect to other places, like DailyMotion. Even though far fewer people have heard of DailyMotion than YouTube, that doesn’t mean that they don’t have chops; in fact, they’re pulling about 200 million viewers a month. If you become a DailyMotion publisher, you’ll be eligible to receive a portion of the proceeds from the advertising revenue. I wasn’t able to find any exact figures, but you can be sure that it is more generous than the cut you get from YouTube (at the cost of less exposure.) As soon as you’ve accrued $100, you can cash out via bank transfer. If you thought the idea of DailyMotion’s high revenue was appealing, then you’ll be extra-excited to learn about Brightcove. You can post videos or self-shot movies for purchase or rental, with a minimum price of $1 (technically, 99¢.) In return, they’ll give you a very healthy return: 70% of the revenue! CreateSpace is a website that will help you get your films onto distribution services, whether it is a DVD distribution or Amazon Unbox (which is being phased out in favor of Amazon Instant, but they will help you distribute on Amazon Instant.) If you’re uneasy about handing your hard-made work off to a company you’ve never heard of, don’t be; CreateSpace is an Amazon-owned company. It’s free to put your stuff up, and whether it’s rental or purchase, you get a flat 50%. Another David that has appeared to challenge the Goliath of YouTube is MetaCafe, who are also offering superior profits to YouTube in return for your videos. While the exact rate of pay on YouTube is vague, as it is on MetaCafe, it generally accepted that you make $5 on Meta for every $1 you would’ve made on YouTube. One of the great functions you get with MetaCafe is that new videos hit the front page, like a social media website. This allows all videos a chance to get seen on their own merit. Sure, you may not have as many followers as Kim Kardashian or other big celebrities have, but you can still make money on Twitter. Here is a list of sites that will help you monetize your Twitter and other social media accounts. While most sites are somewhat tight-lipped about how much they’re willing to compensate you for your tweets, this site does say that you can make up to $5 per tweet. Now this one is for all of the avid Pinterest users out there. It’s as basic as it comes: you pin what they tell you to, and you get paid. This one is something like a counter-point to the previous one. While this is another service that operates through Pinterest, it is an affiliate site. That means that if people click through your link and buy something, you get a cut. Cashes out to Paypal. This service is cross-platform, or that’s to say that you can monetize your Pinterest, Twitter, and Facebook all through this site. They’re all about getting the word out there for their sponsors, regardless of the exact social media site you do it on. Perhaps the biggest name in tweet monetizing, this site boasts several endorsed celebrities. It certainly does make them seem like an authority on the matter, though I couldn’t find any exact details about the rate. It is known though that they’re looking for people with pretty big Twitter followings. If you go and read the FAQ on the site, you’ll see a lot of talk about “Premium Tweets” and the like. It’s a bit complicated to get into here, so I’ll tell you the good part: you get to keep 80% of the proceeds. Basically, you convince followers to subscribe to a premium feed and then you get a lion’s share of the subscription fee. It’s a bit convoluted but the pay is solid. Got an old laptop you don’t want anymore? Sell it to any of these sites for cash. Among the easier options for making money online is selling photos. While photography was once a professional’s gig, the high availability of quality cameras means that just about anybody can make money with pictures. It is all possible thanks to stock photography. That basically means you take a picture and you sell it to a distribution service which allows people to buy a license and then use the picture for their own purposes. I’ve listed the best sites for stock photography below to help you find the right distribution service for your needs. On the other side of the commission situation, we have Crestock. These guys offer you a 20% commission until you hit a hundred sales, and then they’ll bump you up to 30%. While the commission isn’t as enticing as some of the other sites on the list, there is no exclusivity clause, so you can upload to here as well as other places. Right in the mid-range of commissions, these guys will give you a straight 50% for each photo sold. What makes Fotolia so nice is that they pay through PayPal as well as MoneyBooker (which is now known as Skrill.) But even further than that, they may be willing to give you a wire transfer if neither of those services works in your country, which makes this a fairly viable international options. Veer is unique among the entries on this list because of the variety of options that it offers for compensation. In basic terms, they offer a 30% royalty, but you can also allow them to be purchased via subscription (a subscription provided via the site) and accept a smaller cut, with the premise of a higher volume of sales. They also offer the ability to sell typefaces, in case you can create those. 1. Refer uploaders. That means that if someone signs up under your referral link, you’ll make 3¢ every time they sell a photograph. It’s a small change, but it also requires the least effort– just refer them and pick up the profits. 2. Refer buyers. You’ll get a better cut if you get people to follow a referral link to come to the site and make purchases. 20% of the sale goes to you once they purchase, with little to no effort on your part. 3. Provide your pictures to Shutterstock and make 25¢ per purchase. While this is a low return, there are multiple advantages to it. For one, there is no exclusivity clause, and for two, those 25¢ can really add up with as large a website as Shutterstock. This website will give you a roughly 80% commission on your sales and also allows you to set more specific rates like bulk purchase discounts and more. Technically, they offer an 85% return, but this is offset by a 3% processing fee, so you can consider it basically 80%. This site is a little bit confusing– while I’ve read that they offer up to an 85% commission on their sales, going to their home page seems to be a redirect to other photo websites, something similar to Bookscouter.com. Purportedly, you can make between 70%-85% on your photos, but you’d have to get to the point where you’re actually uploading them to find this out. On this one, you can make between 30¢ and $3 for your images. You sort them by categories, and if there is a category that needs photos more than another, you’ll get more money for uploading pictures for it. These guys have a nice system in place– you make an even 50% commission, as well as 15% of the profits from any referrals who make a purchase. You can even refer other photographers and make 10% of their sales, so this a good site both for selling your pictures and for referring others. This is a site with a very juicy cut of the profits. You can make 50%-80% of the profits each time your photo is sold. If you want to get the highest profit margin, you’ll want to make sure you offer the photo to Dreamstime exclusively– they like to have unique images, and they’re willing to reward you for it. Without getting too deep into it, the basic concept with paid to click is that you get paid (usually pennies per ad) to view ads. Here is a list of paid to click sites. In this section, I’ll be listing data entry jobs as well as some other data entry-like jobs. Most of these don’t require any particular skills, but some will, such as transcription websites. I’ll provide a reference to what type of websites they are, so you can choose the ones that fit your needs. Data Entry means you’ll be taking information from one place and writing it somewhere else. Micro Tasks are various small tasks that need doing, like writing descriptions for images or tagging content as appropriate or inappropriate. Transcription is listening to audio and writing down a record of what it says. The big daddy of all micro task/data entry sites, Amazon mTurk dominates the competition in terms of job availability. Pay notwithstanding, there is always work available on mTurk. The issue with this is that there is no guarantee that you’ll be paid well for working on mTurk. There are good-paying jobs, for sure, but it’s total chance whether or not you find them in time. If you’re more of a number-cruncher, you can try to take hundreds of tiny jobs and complete them in a hurry, so that the cash adds up. If you can accomplish that, you might be awarded Master status, which will open up access to better, higher-paying jobs. mTurk is a perfectly viable option for getting into the online working, and I’d recommend at least giving it a shot. But you probably won’t be making full-time wages, so you’ll want to keep your eyes on greener pastures. Clickworker pays out to PayPal, and they are also part of the UHRS network. If you want to make money with Clickworker, it is highly recommended to try to get accepted to the UHRS program. Another big name in the microtask world, Lionbridge is another website that is affiliated with the UHRS network. Be careful, because once you sign up for one uHRS site, you can’t sign up with a different one! So read through all the options and go for the one that works best for you. Whether users choose Clickworker or Lionbridge is usually a matter of preference, but generally speaking, Lionbridge seems to have more tasks available. I couldn’t find the definitive word on whether or not Lionbridge was internationally available, but since they claim to be “global solutions” and offer translation, I’d have to think that they are. To join up with DionData, you’ll need to have at least a 60wpm typing speed and be capable of performing general functions on a computer like composing email and navigating through websites. If you can pass through these requirements, DionData will give you tasks with deadlines that you’ll be responsible for meeting. If you can handle managing your projects like that, this is a great option for making some money. Depending on availability, Tdec may be hiring for online positions, or they may be hiring for regional positions (they are based in the US.) If you can find an online availability, they may also be willing to train you via webcam. Unlike some of the others on this list, though, these are actual jobs with schedules and hours. Data Plus / Data Entry This is another company that’s offering full-on data entry jobs. If you are accepted as a contractor, you’ll need to provide your own computer and software, as well as keeping track of your own taxes (as you’ll be making it tax-free.) You’ll need a certain Words Per Minute, so if you are a very slow typer, it may not be the best option. Axion hires their data entry workers on a contractual basis, so you might look at this as something similar to a seasonal job. After you apply, they’ll keep your application on file and contact you whenever the need for a data entry worker has come up. The requirements for working for Axion are few, but you’ll need a computer, an internet connection, typing skills, and a relatively new operating system (as long as it is still supported by the company, it’s fine.) Unfortunately, they won’t hire anyone with a criminal record, so you won’t be able to apply if you have one. Once known as Key For Cash, VirtualBee is the new face of this well-established data entry business. Unlike Axion which will keep your application on file indefinitely, these guys will contact you in two months or less if they want your services. Data entry positions should be available internationally, though, so our international readers will still have a chance to get work through this company. If you prefer to do a typing task like transcription as opposed to data entry, look no farther than Scribie. Their rate is that you can make a dollar per 6 minutes of audio transcribed (a minimum of $10 per audio hour.) It’s true that it takes longer than 6 minutes to transcribe 6 minutes of audio, but that’s still not a bad rate. The good news is that you can decide your own hours, so you can take these tasks at your own pace. AccuTran is another transcription service, and they’re looking for transcriptionists with experience. They do employ globally, but not completely internationally; they’ll hire US, UK, and Canadian applicants. You might be able to get in even if you’ve never done transcription before, but you’ll need to really slam the entry test. The best thing about AccuTran is that they don’t pay by the audio-hour. Payment by the audio hour can be good, but if you type slowly, it won’t add up to much money. Instead, AccuTran pays by-word. This will help make sure you’re getting the fairest wage. These guys will occasionally offer data entry, but they’re mostly a transcription company. They hire transcriptionists of all types, but they do prefer if you have experience, particularly in legal transcription. While they are technically two different services, QuickTate and iDictate are owned by the same company. They prefer that their transcriptionists be bilingual (in English and Spanish, particularly) but it isn’t necessary. iDictate has a higher rate of pay, and they’re technically the larger of the two companies. QuickTate is the secondary service, so you should look for work on QuickTate only if you can’t find the work on iDictate. A more general ‘typing’ company than just transcription, Speak Write is looking to hire people for actual job positions. It will mean all of the things that a normal job application will entail, a resume and a background check, but you can get a typing job if you are accepted. It’s important to note that they are specifically looking for people with legal experience, so if you have a background in that, it will really help your odds. Since this is an audio-visual job, you’ll need a capacity for detail, as well as a fairly quick typing speed and good grammar. Captioning tends to pay better than transcription, though, so you’ll gain something in return for the extra work. You are probably familiar with captcha codes, the word-images that you have to enter to pass many websites’ security checks. Well, Megatypers is a site that will pay you in return for doing captchas. They don’t pay too much for it, but it’s as easy as it comes and you can choose your own hours. Short Task is more of a micro task site than a data entry site, but they will offer both types of work. One of the things that makes these guys a good option is that they are willing to pay to PayPal or to a bank account, depending on your preference. So you can avoid any inconvenient transfers like you get with Amazon mTurk. Xerox is the surprise wildcard entry to finish out this list. Believe it or not, Xerox employs a lot of remote workers and they are hiring for virtually all positions (everything from customer service workers to software developers!) If you are willing to go looking for a real job you can do from home, don’t forget to look into Xerox. This giant company is one of the largest remote worker employers around. This South Carolina-based company is always on the lookout for data entry keyers, transcriptionists, and customer support positions. This company usually engages writers on a contract basis. All residents of the United States and Canada are welcome to apply. It is highly popular in continental America, so they tend to keep a big database of job applicants. And they may review your application from time to time, make sure that you follow up with the company if it represents so much appeal to you. In the past, you might have taken the time to write a review after purchasing a product. It’s something that many people do so others can learn from their experiences. Now, would you be surprised if I said that you can get paid for it? It’s true, reviewing things is a way to make money and you can get paid to review all kinds of things whether it’s clothes, books, food, movies or anything else. I’ll give you a list of sites where you can go to get started. This site is free to sign up and you are allowed to review just about anything you want, from books to hotels. You’ll be paid a flat $2 for your review as well as 10¢ for every vote your review receives. The payout minimum is rather high at $50, but you can get there in a hurry if you write a lot of reviews and get people to look at them. The money is paid out to PayPal. Dooyoo is a UK-based company that allows you to review products in return for rewards points. How Dooyoo works is a little too complicated to fully explain, but suffice it to say that there are a variety of things to review that are ranked by relevance. The more relevant the thing you review, the more rewards points you make. As you likely guessed from the name, Dooyoo is a Europe-based company that services France, Germany, and the UK. There is a social to the website, but the layout made it difficult to figure out exactly how it works. However, you can turn your rewards points into money, so the site does what you want it to. This is a review site that is limited to software reviews. At a basic level, you’ll be making $1 a review, but if your review turns out to be popular you might be able to make as much as $50 per review (!) The drawback is that their anti-spam system means you can only write 3 reviews a day. That means you’ll want to write the best reviews you can since each one needs to go farther. Another UK-based review site, this one pays based entirely on the site’s community reception to your reviews. They offer a lot of categories, like food, household, beauty, travel, and electronics. You can pay out once you’ve accumulated £5. Unique on the list for being a video-based review site, ExpoTV is a site that asks you to record your review on video so that consumers and companies alike can learn from it. Like a lot of the other entries on this list, they’ll let you review just about anything. However, ExpoTV has a staunch “no tobacco, firearms, or medicine” reviews policy. Ending out our reviews section is Shared Reviews, which likely has the most diverse category system of them all with over 400 product categories! It also shares 50% of the ad revenue that you earn for your reviews, which is a very nice cut. This is similar in function to RateItAll, but what’s nice about Shared Reviews is that you’ll also get a (small) portion of the proceeds for any review that you vote on. Shared Reviews is like a review-based social media site, so write the best reviews you can and you’ll see rewards in turn. As I touched on in the Data Entry Jobs section, micro jobs (or microtasks) are small, quick tasks that pay a small amount in return. They’re easy to do, and if you can master the art, you can pile up a lot of these tasks in a hurry. I have to give my special accolades to Samasource because they manage to combine data entry/micro tasking with charitable means. How it works is that you can recruit women and youth who are making less than $3 a day to assist you with data entry tasks. In return for doing work for you, you serve as something of a sponsor who helps ensure that they are making the money they need. It’s a great cause that lets you sponsor workers in places like India and Haiti, so if you are looking for a microtask site with meaning, this is the place to go. However, it is not assumed that they will employ those from western countries such as the US and the UK. This is just an honorable mention for mTurk since they are such a wide and diverse site that they deserved a place in this part of the list. If you want to learn more about mTurk, look in the Data Entry Jobs section. Another honorable mention. For more information, look in the Data Entry Jobs section. Fiverr is big news in the online working world, because this unique platform provides a variety of opportunities for creators and businesses alike. The basic idea is that you post the job you do and you agree to do it for $5 (though the site keeps a dollar.) You can add a little section that allows you to offer more for different pay, as well. The secret to Fiverr is learning how to play the system. Figure out how you can streamline your process so you can do a lot at once, or figure out how to make people want your more expensive options. If you live in a country with a lower cost of living, Fiverr goes from a pocket-change site to a bona fide career choice! This is a nice, straightforward microtask site that allows you to cash out at $5. You should know that they pay out to MoneyBookers and Payza, but not PayPal, so take that into consideration when you are looking through these sites. However, this site makes a nice backup site from which to get tasks in-between all the others. Currently only available in San Francisco and Boston. This website will help you make money with small tasks, though you will need to leave the house! TaskRabbit is a site that lets you run little errands for people in return for payment. It could be anything from fetching coffee to walking a dog, but as long as you’re 21 or over, you can do it. Even if you don’t live in SF or Boston, it’s worth checking their site. They have plans to expand into new areas in the next year or two. MicroWorkers is a micro-task website that stands toe-to-toe with a website like mTurk. It has lots and lots of jobs available every day, and they’re generally pretty easy. If you are not meeting with too much success on mTurk, this is the site to check out. The tasks shouldn’t pose too much of a problem, and there is no shortage of them. I have to mention this one right after MicroWorkers because they share an interface (though I do not think that they share a job pool.) RapidWorkers is a very simple site to use and it clearly outlines the needs/time estimation for each task, so it’s user- friendly. A micro-task site in the true sense of the word. Jobboy is billed as a ‘crowdsourcing’ task site, where small and menial tasks are meted out to the workforce in return for compensation. These should be among the most simple tasks of all the microtask sites listed here, and it pays out quickly. Since it isn’t the largest site around, there should be less competition for jobs. Crowdtap is a micro task site with Facebook integration, so that means that you won’t need to make an account. It will ask you to do various micro-tasks that may involve social media actions, and in return, you’ll get free samples and the like. It’s not the most direct way to make some pocket change, but you can get some cool stuff. ClicknWork is a micro freelancing site where you can find all kinds of tasks to complete. Anything from writing blog posts and articles to graphic design, data entry, SEO and more. Another great way to make money on the internet is by signing up to test products for companies. The deal is that companies need to get feedback on their products so they know how to make them better. The end-level consumer usually isn’t going to contact the company to offer their feedback, so they’re offering incentives to you, the tester, to give them the feedback they need. Since end-level consumers don’t really report back to a company (they either buy more products or they don’t, and the company has no way of knowing it) companies are willing to offer you free products as well as payment in return for testing their stuff out. It helps them make money in the long run, so they’re not afraid to dish out a little bit of cash. Each product will have a certain amount of time during which you are to use it and get acquainted with it. After this period of time, you’ll be contacted by the company (usually via email) and they’ll ask for your feedback. Of course, you get paid for your time and feedback. Here are some of the most trusted and legitimate companies that offer product testing opportunities. It might sound like a dream come true to hear that you can get paid for watching TV, but you can! Here are a few sites and apps that pay you for watching TV. Viggle bills itself as a ‘TV Rewards Program,’ and it delivers on that concept. To participate, you will need a smart device. To begin, just download the Viggle app onto your device and perform a check-in when you’re watching a show (they have a list of shows that they want you to watch.) Different shows have different point values. Then you just use the app to check in at the beginning and end of the program. Viggle will verify, and then you’ll be rewarded with points that you can redeem for a variety of cool things, such as gift cards to major retailers. The jobs don’t come up very often, but Netflix has openings from time to time for people to watch their movies and shows and make sure they are categorized properly. Netflix calls these people “taggers”. The hours will be long, but watching the shows is in all likelihood what you were going to do in any case. Look for openings on the Netflix job board. 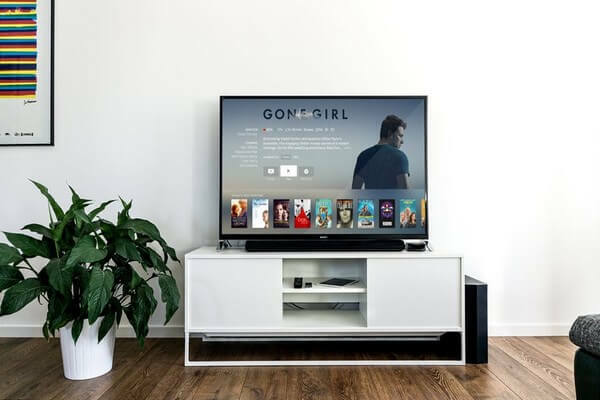 If you register on HitBliss.com, when you watch TV shows, movies, and ads you earn cash – that is you “earn cash”, as the cash you earn can only be spent in the HitBliss store to rent movies and is not paid out in money. Nevertheless, it saves you having to spend to rent the latest movies, so it keeps money in your pocket. Perk TV is similar to Viggle. You watch videos and television and earn points for doing so. There’s a variety of rewards available (Amazon, Target, Walmart, etc). You need 1000 points per dollar value for most gift cards or you can get cash via PayPal; you can donate to charity, or you can even get electronics and Perk merchandise. It is reported that you can earn a few dollars a day. Go to the website for full information. While there used to be a variety of services to help you search the web, now “Google” is synonymous with “Search engine.” In fact, Google has such a hold on the market that you can get paid just for using a different engine. Services like Bing and Swagbucks will give you rewards simply for searching with them instead of Google. And if you’re going to look things up, why not profit a little at the same time? There’s no other way to start off this list than with Bing, the David to Google’s Goliath. Bing has a rewards program (called MicrosoftRewards) that will give you points for searching with them, which you can then redeem for gift cards and the like. It’s probably the most popular way to get paid to search. Scour is a referral-based paid search, but you can still make points without referrals. You’ll get 3 points a search and you can cash out at $25 (6500 points,) but you earn 25% of each of your referral’s searches. That means that if you can get a lot of people searching, you can make some pretty good returns! Scour offers a toolbar for all the major web browsers, so you can earn on the go. This micro task/online rewards giant has expanded into paid searches as well. The way it works is that you can install a Swagbucks toolbar and you’ll be entered for a chance to win some money every time you make a search. If you’re a curious person who does a lot of searching during the day, you’ll be hard pressed to do better than SB. These guys offer a variety of ways to earn money/rewards, and getting paid to search the web is one of them. They’ll let you cash out at 650 points ($5) via PayPal or Amazon gift cards. One of the good things about ZoomBucks is that they’re international, so this is an opportunity available to everyone. Since we’ve talked about testing physical products on this list, let’s also talk about testing websites. Believe it or not, there is a huge amount of testing done on websites to make sure that they’re ideal for user navigation. On average you should be making about $10 per 30-minute recording session, though exact payment and lengths of sessions may vary by site. This isn’t social media work, so you don’t need to try to be entertaining, but you will need to speak in an audible way. This site does require you to pass through an initial screening (a test-test, if you will) before you are contacted about doing site reviews. They’ll hold onto your information and get back to you sometime in the next few months, though some users report getting their first assignment just a week after their test. You’ll make $10 a test, deposited into PayPal automatically. A clever name that indicates the core focus of the company, YouEye will also ask you to pass a screening test before you get your first assignment. In return, though, you’ll make $12 a test, which is a bit more than the average on this list. These guys work with both app testing and website testing. More importantly, they offer up to $50 a test, which is way above the average for this list. It might require a little bit more work (screen capturing for phones is tricky) but the pay reflects that. You’ll be paid via PayPal for every test. This is an easier site than some of the others. It will still require the same resources as the others, but it will be a lot faster. They’re looking for people to try to help boost start-ups, as the name implies, so it will look better if you have some social media presence. In return for each short test, you’ll make $5. Among the small sites on the list, Analysia is still nonetheless capable of giving you quality work. They pay $10 as is the average for this type of work, but you can accomplish this stuff generally faster than another test site, usually in 15 minutes or so. A Spanish-speakers only site (and yes, they will test this!) What little I could pick up from the site says that they do both video and text-based reviews, but what I read about the site elsewhere said that 5 tasks + 5 questions = $10. I don’t know what these tasks entail, but I’d guess at this price, they’re not too difficult. This site will ask you to pass a written test as well as a standard video test. Otherwise, it’s part for the course– they’ll alert you when jobs are available and you’ll make $10 to be deposited into PayPal within a few days of completing the task. This site will let you fudge a little on the application; they don’t mind if you use your phone’s microphone to record the first sample audio, but after that, they ask that you start using a microphone. It will be $15 for mobile testing and $10 for web testing, paid to your PayPal soon after completion. Loop11 adds a nice thing to the mix by claiming that longer tests equal better pay. Given that this is true, most of us wouldn’t care how long the tests are! The average study pays $5 but is also only around 10 minutes in length. They pay to PayPal. Unique on this list for being the only company that requires you to do a face-cam record (webcam,) Userlytics pays a minimum of $10 per test and pays out within a week. If you aren’t OK with sending off videos of your face, though, you’ll want to try a different service. The front page of this site purports that you can test these sites on any internet- enabled device, whether it is your phone, tablet, or your normal computer. Payment depends entirely on the test, so I can’t give you an average. I do know that they pay out to PayPal, however. Similar to the other sites on the list, though with the somewhat unique property of being UK-based. They’ll pay you in pounds, euros, or dollars. The test consists of a sample video as well as a short written section, and then you’ll be expected to complete a personal profile so that they can match you with the appropriate jobs. Payment is standard and goes to PayPal once monthly. This is a new(ish) site that is quickly becoming popular. They actually go through Mturk for now. This one is another branch of the UserInput that focuses mostly only on Android and iPhone apps. As a tester, you’ll give feedback on apps that you can download. They are also looking for testers who can record videos of their screen as they review websites and talk about their experience as they go through the website. They pay $5 per app tested and $10 per website video review. If you’ve ever heard of the Applause network (which also runs Testhub) then you’ll know that they’re well-established in the software testing world. Payment varies by each website, but the service has a large corporate backing to it. As crazy as it sounds, there is passive money to be made by uploading files. It isn’t the literal uploading of the files that gets you paid, but actually the subsequent downloading. So, this is cutting out all the middlemen that are normally involved in selling ad-space (having your own website, creating content, etc) and just allowing you to pick up some money from ads on a distribution site. Some sites will require certain file types, while others won’t. Stick to stuff that people want to download, like freeware, or written tutorials. Get around $1 to $20 for every download. They support PayPal, Payza, Payoneer, Payquicker, Wire Transfers, and Checks. Although it’s hard for me to believe they pay $20 for a single download of your file. Freelancing is a very important way to make money online, and it is predicted that the number of freelancers internationally is going up with a little hint of slowing down. Virtually any business skill can be done in freelance, from creative consultation to bare bone software creation. Many workers are even leaving their companies to become freelancers! I could say so much about freelancing, that we’ll actually split this into two sections: freelancing, and writing. While you can be a freelance writer, there are so many sites dedicated to these forms of work that I’ll be separating it for clarity. Suffice it to say, though, almost any freelancing site will offer writing jobs. But not every outlet for making money writing is a consistent resource for freelancing. One of the most well-known freelancing websites, Upwork (formally known as oDesk) has long been at war with eLance for prominence in the online freelancer market (though this war is now over because they are soon merging.) They’ll be adopting the eLance model soon, but there are different customer bases for each website. In general, UpWork is better for international or newbie freelancers, and eLance is better for experienced professionals. I won’t get into why this is, but it’s a good rule of thumb. Another often-touted freelance hub, Guru is highly focused on the quality of a worker. They have a very prominent portfolio system that shows a worker’s past job and payment histories, and they also show how much clients have spent on the site. This double- transparency is meant to foster goodwill and educated decisions from both freelancers and businesses. Their search function is convenient and easy-to-use. I’ve said most of what there is to say about Fiverr in the ‘data-entry jobs’ section. But relevant to freelancing, Fiverr can even be a good way for a professional freelancer to get off the ground. Say you provide such a good service that a company wants to hire you on full-time, now that’s the advantage of Fiverr! Often touted in freelancing circles as the “big dogs’ zone,” eLance has several things going for it for both workers and employers. They are often noted for their ‘token’ system, which is used to purchase visibility in job applications and listings. While this sounds a tad fishy, have no doubt. There are freelancers making over $5000 a month on this service. It might not work out if you’re lacking in technical experience, but if you’re ready to get real, this is the place to do it. Self-described as the “largest outsourcing marketplace,” Freelancer benefits from the most straightforward name of them all! Workers can browse by qualifications and apply to jobs straight from the search field, which is a nice touch. Otherwise, it’s all a matter of opinion whether you want to use this site versus other big names in online work. A relatively unknown challenger to the large sites. It functions similar to Freelancer, but due to its unknown nature, you may have less competition for jobs here. Unlike the others, this site is dedicated solely to the designers out there. It isn’t focused on one type of design, so you can look here whether you are a graphic designer or an advertising designer. The pitch is that there aren’t exactly ‘jobs’ in the traditional sense on this site, but rather, a series of graphic design contests. It is a good way for designers to strengthen their portfolios, and if you’re confident that your designs will be the best, it’s the same as applying for a job! FlexJobs isn’t strictly a freelancers’ site like the others. Rather, it helps you find work in a variety of fields, and also dependent on certain criteria like whether or not you want to work full-time, part-time, or at-home. Freelancers can benefit from using FlexJobs in case they are looking for more consistent work to pad out the time between projects. This is a pretty interesting site that has a more narrow freelancing focus. It will have jobs available for a variety of different skills- everything from animators to copywriters- but its focus is on marketing and advertising. So if you’re looking to do professional work for other professionals, look no farther than the creative group. You can even look for full-time work here, in case you’re not interested in freelancing. Another professionally-focused freelance site, you can also find plenty of full-time jobs on here. They offer a very clean interface that helps you find jobs by keyword and location, and they have a variety of industries that look for workers here. If you are college-educated and looking for serious work, this is a great place to find it. Aquent makes itself stand out among the rest by offering various types of online training courses to ensure that their freelancers are the very best around. You can look for remote or in-person jobs and choose whether or not you want to work contractually or salaried. This site also has a marketing focus. The nice thing about this site is that you don’t have to put up with any transaction fees as you do on the big name sites such as oDesk or eLance. However, the interface is a little less friendly and since it is a lesser-known site, you won’t have as many opportunities to find work through here. That makes it ideal for a freelancer just coming onto the scene, though, so don’t rule it out unless you’ve tried it. Reading and writing are things that we do every day without a second thought. It’s become part of human nature to communicate and learn through language. And like any essential, I’m sure you can guess that there is money to be made with it! If you’re skilled with words and you’re comfortable sharing your work with others, you should definitely consider writing online. There are a variety of opportunities, and the need for writers is only going to go up; Google shows that sites with regularly updated blogs rank much higher than those without. The better you can write, the more you can get paid. So without further ado, let’s get into the sites where you can write for money. This is a site that allows you to write articles which people can then purchase usage rights for (this type of site is sometimes called a ‘content mill.) It’s a great way to get started with writing if you have little experience in it, and you can expect to make $7-$20 per article. An entertainment giant that can frequently be seen on Youtube or on its own site, CollegeHumor actually runs articles as well and will pay you for yours. You have to write unique content and then submit it to them, but if they like it, you’ll get $25. The best part is that they’ll also pay you additionally if your article generates a lot of views, so you have the potential to make more than the initial fee. Read some of the articles they already have up to get a feel for the kind of content they’re looking for. This site works in a very similar way to Constant Content. I wouldn’t say there are any strong differences in the two, so just go with the one you like better. Another site that allows you to create content for low pay, but with little barrier to entry. Functions much like Text Brokers or Constant Content. It’s worth making an account for all three if you want to get the most out of them. Cracked.com is a website that many of us have ended up on before. Cracked is famous in the online world for making highly entertaining content that keeps readers clicking around for hours. While Cracked does have in-house writers, they are also willing to accept submissions from freelancers. In return for your accepted article, they’ll pay you an amount up to $100. What’s more, your content will be featured on a highly popular site, which is great for your portfolio. To start writing, you’ll need a Cracked profile. Then you’ll have to arrange a pitch through the Cracked forum. But if you get accepted for that, it’s just write-and-get paid. Similar to Love to Know, Knowledge Nuts is looking for informative articles about a variety of things. These guys will let you submit anything with no tests, and you’ll be paid if it passes review. Payment is a flat $10. Uniquely, they offer Bitcoin payments in addition to PayPal, so this is the place for you crypto-crazy readers. In case you don’t know, Seeking Alpha is a stock and finance site. They’re looking for writers to do in-depth financial articles. You’re going to need to really know your stuff to get approved for these guys, but the payout is well worth it: accepted articles are worth $500 and the top article of the week may win a $2500 prize. A great place to go if you’re looking for writing work, this is a straightforward job board that caters exclusively to writing positions. They’ll be looking for writers on all kinds of topics, so regardless of your field of expertise, you should check around here. So if you’re reading this article, chances are that you speak English. But if you speak any languages other than English, good news! That’s a valuable skill that can make you money. Here is a list of sites that will pay you to translate documents for them. A very large translation site, Proz has over 300k members and counting! The payment totally depends on the job, but it’s a great place to get started if you’re new. This site has a German-focus, so if you speak German, look no further. It helps connect translators to businesses, so if you’re looking for a European-themed translation site, this is your ticket. Translators’ Town may be the most diverse of all the entries on this list, offering translation services in every language from Arabic to Russian! If you speak any other languages at all, check through Translators’ Town and see if they’ve got the work you’re looking for. This site also features a ton of languages that should suit bilingual speakers regardless of nationality. They offer a premium membership program if you’re looking for extra exposure, but they also offer a free membership if that’s more of what you’re looking for. The company specializes in translation works. Usually, work with freelance translators. No joining fees required. The website is run by a family and their specialty is producing translation work for business. If you are bilingual and like to work from home, it could work for you. In the modern age, the internet has opened up an endless possibility for profit. Nowadays, you can even make money design shirts with zero out-of-pocket cost. You design a shirt using their website and then it’s up to you to reach a sales goal (that you set.) Higher goals mean higher profits. Once you’ve met your sales goal, bam, that’s it. The shirts are printed and shipped and you are paid. It’s that easy. The sites make enough money with this business model that you don’t need to worry about paying for anything. It’s a zero-risk investment, and you can make hundreds (or in rare cases, thousands) of dollars. Here are all the shirt-designing sites I could find! One of the oldest and most well-developed of the design websites, SpreadShirt is a site that will allow you to sell shirts in a variety of ways. You can link straight to the shirts, or you can open up a digital storefront (for more serious sellers.) They even offer other types of products with your design, handbags and pillows and more! Even older than SpreadShirt is Zazzle which was founded in 1999! Zazzle also offers designs on a variety of different products in addition to the regular shirts. Zazzle helps businesses connect to customers and even features several very high-end clients. This site presents itself in a slightly trendier way, and has a different focus: instead of designing a shirt and then trying to sell it, instead, they hold design contests and the winner gets a lot of money (like $1000.) Then they reserve the rights for the design and sell the shirts, nice and simple. Shirt.Woot has a pretty cool thing going on– they’ve got a lively aesthetic and two ways to participate. For one, you can enter into weekly design contests, similar to Threadless. Or you can submit designs directly to the editors, and sell your work. This site provides options for designers of all types. These guys are a little more dedicated. They want you to set up a digital storefront and then sell as much as you can. There is no penalty for selling too little, but if you sell a lot, then you’ll get a bonus each month. This might be anywhere from a 10% to a 30% bonus, and the rewards can actually get pretty huge. This is another site that does design contests. The rewards tend to be slightly less than Threadless, but still quite good. Definitely submit here if you’re a designer. 6dollarshirts 6dollar is a little easier to break into. They ask you to submit a written idea for a design, and they handle the rest. You’ll get paid a flat $100 if your idea is accepted. Teefury has a pretty fair way of going about things: you make $1-$2 a sale, which is lower than normal. However, after 24 hours, you retain the copyright for your design. So get in, make a few sales, and then use your design elsewhere. It’s that simple. These sites are often most people’s first experience with making money online. They’re also called GPT (Get Pait To) sites, and they’re a great thing for those who are looking to make money through small, simple types of actions. If you’ve ever heard of this before, you probably heard about Swagbucks, which is likely the biggest name in GPT sites. You’ll make points towards rewards for various kinds of actions, like viewing videos, going to certain websites, shopping at certain online stores, etc. A lot of GPT sites payout in gift cards, though there are some that payout to PayPal. Each site has a different payout time, too. Some are weekly, some are monthly, and some are on-demand. I’ll start with a site that I’ve discussed before. CashCrate is a solid GPT site that is a little less popular than some of the largest ones but balances it out by paying via check instead of gift cards. Checks are sent once a month. You can do a variety of things here like taking surveys and completing offers. This is a well-established GPT site that has received coverage on shows such as Good Morning America. It is a safe, reliable service that is additionally available on iOS and Android. They’ll let you request money via check once you reach $30. Cash4Offers will pay you for reading emails and giving feedback, paying somewhere around 1¢ an email. You’ll have to get to $35 before you cash out, but it’s an easy way to build up the money. This site has gift cards right in the name! Also known as “Instant Gift Cards,” this site is founded on the idea of giving you electronic gift cards instantly. Points are earned by taking surveys and doing offers. What you might call the “King of GPT,” Swagbucks is currently ranked the 739th site of all websites! They do a huge amount of business and have a very wide variety of gift cards available. You can even get PayPal gift cards! Swagbucks also has a mobile app and a variety of ways to make money. You can even make money playing games. If you are going to use a rewards site, you should definitely try Swagbucks. This GPT site allows you to make money with surveys, emails, games and offers. The email payouts have been reported as pretty generous at 20¢, but others say it is more like 5¢ and the survey pay is pretty low. You get paid via check after $35. A slightly less popular site than the others. There’s no disguising it: the layout isn’t very attractive. However, it is perfectly legit and pays out to PayPal with little to no minimum. If you can get used to the look, there is reliable money to be made. This site has points that can be earned by doing surveys and similar kinds of activities. It’s a surprisingly popular site, coming in the top 6000 sites. The best thing about this site is that it occasionally offers very lucrative survey options. These surveys will involve paying a small initial fee to participate in a product review, and then you’ll be compensated for the fee and additional money for your input. Otherwise, the actions are similar to the others on this list. A surprisingly old site, MemoLink has been online since 1998. You can cash out for gift cards, PayPal, cash, or even to charity. You accumulate points through referrals, offers, and trials. Survey sites are a great standby for those who are interested in making money online. There are a lot of sites you can use that are very useful! Here are some of the best survey sites to make money with. Very hard to join the panel (they only accept a limited number of members for a short time during the year), but one of the most popular panels. You get cash for every survey taken. You earn points for taking surveys, which can be redeemed for cash and other prizes. Originally known as NFO, this company has been conducting market research studies for over 50 years. An awesome survey site for earning Amazon gift certificates. Lots of daily surveys. 1000 Points can gets you $50 cash. Another great site that is known to be one of the highest paying survey sites. Though an average survey pays around $2, they sometimes have surveys that pay up to $20 or more. One of the lesser-known panels, but one of the oldest ones, nonetheless. If you like surveys about movies and entertainment industry, this panel won’t disappoint you. This is, perhaps, the best known paid survey site that almost everyone who makes extra money with surveys, is a member of. If you shop, you need to use a cashback site or app. It’s like getting free money for doing something you were going to do anyway. If you’re an artist, the actual creation of your homemade jewelry pieces is probably the easiest part for you. The hardest part, however, is selling them. Thankfully, the homemade arts and crafts market is making a huge comeback and more people are using sites like Etsy to buy and sell all kinds of handmade goods. But Etsy isn’t the only place for selling your handmade goods. Although it’s heavily focused on higher-end clothing and fashion, you can sell just about anything including handmade jewelry. The best thing about this site is that you pay no listing fees and no closing fees for up to 50 items. ArtFire is considered the second most well-known indie marketplace. iCraftGifts is a Canadian based company/site that is quickly becoming a favorite among shoppers mainly because of the unique and amazingly beautiful pieces found in its marketplace. There is a $25 (Canadian Dollar) registration fee for sellers. Ok, selling books and furniture and the kind of stuff that people actually want to buy isn’t that hard. But what about other “junks” that many of us seem to have way too much of? For that stuff, try these sites. If you have a lot of boxes, yes cardboard boxes, this site will buy ’em from you. Just visit the site, fill out the form and wait to hear back. Did you know you can sell your lefty over cooking oil? Well, now you do! This company will schedule pickups and will pay you for cooking oil. They prefer working with small businesses and restaurants who can provide a substantial amount of used cooking oil, but they’ll work with anyone. This company pays you for your empty inkjet and laser printer cartridges. The best part is that they even pay for the shipping. Just send in your empty inkjet and laser printer cartridges and get paid. They pay via Check. You probably have seen their ad or even their big containers on a demolition site. They buy junk metals. They buy anything that has metal in it – bikes, cars, cans, appliances, file cabinets, BBQ grills, etc. And they have locations all throughout the United States. To see how much your scrap metal is worth, visit the site and fill out the form. Whether you drink a lot of wine, know somebody who does, or work in a restaurant or a bar that gets a lot of wine corks, you need to check this site out. They’ll pay for wine corks. They pay about 1/2¢ per cork. They do have a minimum weight requirement of 15 Lbs. This is about 1500 corks. They pay by check within 45 days of receiving the corks. And the good thing about online English teaching jobs is that you can almost always make money despite any recession since this there is a high demand for English speakers in a lot of developing countries. You will be teaching Chines students English through this platform. You can earn up to $25 an hour. If you like teaching kids English, this is right up your alley. You get paid up to $21 for every 40-minute session to teach 5-12 years old Chines kids. This one is a little different from most of these sites. Instead of teaching adults, you’ll be teaching kids between 5-12 years of age. You can earn between $16 to $20 per hour. This s a platform where you can make money teaching English to people from all over the world. You earn around $0.17 per minute which is paid to you via PayPal. You will be teaching English to Japanese and Korean students through virtual classes online. With this site, you can set your own schedule so you can teach whenever you want. You can earn between $14 to $22 per hour as a teacher. An online marketplace for languages, Italki provides that virtual classroom capability for both students and freelance teachers. Getting started with Italki is pretty easy and quick. Aside from putting together teachers and students, Italki also keeps a good number of online language resources for free that you can use. After looking at teaching prices available, I discovered that a handful charge about $15 for half an hour. Definitely a reasonable price in exchange for talking to a student for 30 minutes. This is a website that allows you to create your own teaching profile. After your profile has been approved you can start setting your rates and proceed to find students who need your help. It is recommended to begin with a lower charge, somewhere between $10 to $20 US dollars for every 45-minute lesson to attract students to get you as their instructor. TutorABC firm is from Taiwan and is presently on the look-out for English teachers. You’ll be teaching beginners, intermediate, and advanced students. You do not need to know Chinese since you’ll be an instructor to students who already know some English. TutorABC has its own virtual classrooms which you can log into before the start of your session. These are the last few websites for earning money that I found. They didn’t fit in the other categories, so I’ll list them here. The Company is always hungry for workers, be it part-time or full-time. The company offers a flat $18.50 per hour; regardless you are working at the site or from your home, so this could be a real bargain. The nature of the job typically involves leads generation on behalf of those fortune-1000 firms. This is mostly an actual job-job, but you can find the sign-up online. It requires doing something like handing out samples or giving a demonstration for a product, so it is only an option for the outgoing among us. However you’ll make a little above minimum wage, so it’s a good option if you can do it. An online rental service. You can rent out just about anything, whether it’s a hand drill or a pressure washer, as long as it’s something people would want to use. You set a rate and the site helps you connect to potential customers/partners. This is a better option if you live in a densely populated area, of course. Rebagg offers cash for used designer handbags. Once you create an account, you can list your items and receive offers from the website for purchase. Wanna have your home be the set of a film or a TV show? This is the company that can make your dream come through. Just visit the site and fill out the application to register your property. How would you like to participate in studies conducted by one of the top universities in the world, Harvard? They conduct both online and offline studies. They pay up top $35 for studies ranging from 30 to 90 minutes. The longer the study, the more you get paid. This list will be updated with new sites as I find them. Be sure to bookmark it and check back often for more sites. And if you have enjoyed this post, please be sure to share it on social media sites you are active. If you managed to read through this whole article, I salute you! Most people are missing out on websites that help them earn money because they don’t know that they exist. Well, they do exist and the rewards are real! The purpose of this post was to list a wide range of money making ideas and options so no matter who you are, you can find something to make some extra cash with. I hope I succeeded. There are tons of people making money using these sites, apps and companies. 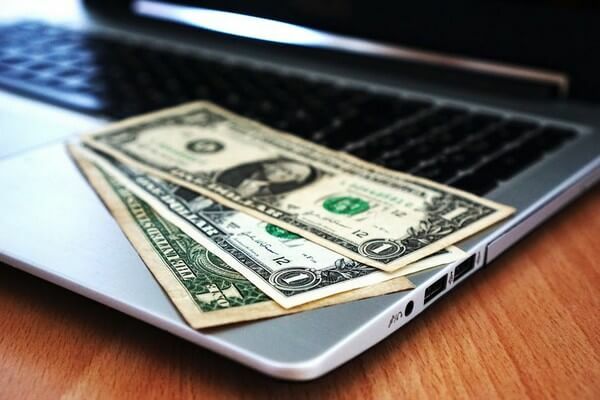 So next time you are thinking “I need money right now” or “ I want more money“, try one or more of these legitimate ways and sites to make extra money. thanks man.. you made my day.. Thank you, Pradeep. I am glad you liked it. You really put A LOT of time into this list. Thanks for the information! I have tried some of the book buying sites. You really need to have a sharp eye to find the books they are looking for. Yes, you do need to get yourself familiar with books and their estimated pricing. Thankfully, Cash4Books has an app that makes it easy to see how much you can sell a book. Install the app and you are good to go wherever you are, thrift shops, garage sales, used book stores, etc. This is the largest post i’ve ever seen , appreciated for your post and 400+ it takes long time for thinking , wonder you did and post indeed all the valuable points.. i think its a good guide for people who are confused how to make money.. but choosing the right niche point is very important as well as knowledge on how blog works.. patience the key .. thanks for sharing mate ! I didn’t see any of these job site listed, you should consider checking out. damongo.com – Great for micro jobs, users and listing seem to be increasing at a steady rate. gigbux.com – Similar to damongo, quite a few micro jobs. Mike, there are tons of sites out there. I was just trying to give you a sample of the best sites. pls am from Ghana which site can make me earn 5 dollars a day? David, I am not sure which one of these sites accept international members. So you have to check with each site. As for $5 a day, it really depends on the site and how much effort you can put into it. For example, if you can write even entry level articles, you could easily make $10-$30 a day on many of the freelancing sites mentioned above. Can you do a; which sites are easiest to earn a payout and/ or, which sites pay higher amounts and a teen ranking? Also, this is really cool, Good job on the organizing. Thanks for the suggestion, Ashley. I’ll do my best to create a new list based on your suggestion. I can’t promise a specific time for when it will be ready, but I’ll get on it as soon as I can. In the mean time, if you are looking for teen money making sites, check out 40 Cool Ways for Teens to Make Money. And thank you for the kind words. I am glad you like it. Awesome list! Thanks for being so organized and sharing! You are welcome. I am glad you liked it. thank you so much for this list, SATRAP. It’s incredible! Yeah, these are some of the very websites that I used to make my very first few dollars online. Good luck. Ivar, the link redirects to that site for people outside of the U.S.
You also made my day!!! Even though I can use just a few because of the barrier language! Great job! You’re the best! That’s very nice of you, Ana. I am glad you find this list helpfull. I work for both Textbroker and Constant Content. With Textbroker, you write articles requested by their clients. You know up front what they want and the amount you’ll be paid. The typical range is between $2.50 and $7.50. They pay to PayPal every Friday. With Constant Content, you are the one who decides what to write. Your article, if approved, goes into the pool of articles in the appropriate category. Also, you choose what the price is. If a client spots your articles and buys it, you get paid. An article can wait quite a while to be purchased and, on average, only 50% of the articles are bought. But since the price you put on the article is higher than what you might get elsewhere, it can be worth the wait. Constant Content pays to PayPal once a month. Thanks for sharing that, Elaine. Did you confirm your email? Glad you liked the post, Akshat. Wow. This is a hell of a list! Thanks a great deal for putting this together,you are wonderful! Thank you Godwin. I am glad you like it. Keep up the good work. The list is also updated periodically. Appreciate your efforts. Well done. I’m usually pretty skeptical but I have used several of the websites listed and you are spot on with the ones I have experienced. You really are helping a lot of people with this info. You put a smile on my face with this because you seem very unselfish and honest, it’s refreshing when so many people are greedy, arrogant and deceitful. I know you might get some form of compensation with the list. But it’s clear that’s not the only reason you wrote it. Thanks for the kind words, Ryan. We hope you’re making some extra money with our tips! !